Mary Davidson, MPH, RDH, EPP recognized by Western Regional Examining Board for outstanding service to the dental examining community. HOOD RIVER, Ore., March 18, 2019 – One Community Health is pleased to announce that one of its longtime dental hygienists has been honored with the “David Low Service Award.” Mary Davidson, MPH, RDH, EPP, recently received the dental industry’s prestigious award from The Western Regional Examining Board (WREB). The honor recognizes the invaluable contribution of an outstanding dentist and dental hygienist to the examining community. Created in 2006 and given annually, the award is the highest commendation presented by WREB, which develops and administers competency assessments for state agencies that license dental professionals. Recipients of WREB’s award must demonstrate the highest level of commitment, dedication and innovation, as well as a genuine compassion for candidates, patients, fellow examiners and staff. In the spirit of the award’s namesake, they must also conduct themselves with the utmost professionalism, an open mind, plus possess an innate sense of humor. The service award was given to Davidson in February at a dinner and awards ceremony that took place during WREB’s annual Leadership Training in Tempe, Ariz. Davidson, a team captain for dental examiners, said she was surprised by the honor but also humbled, being that the award was given by professional peers whom she admires and from whom she has personally learned so much over the years. 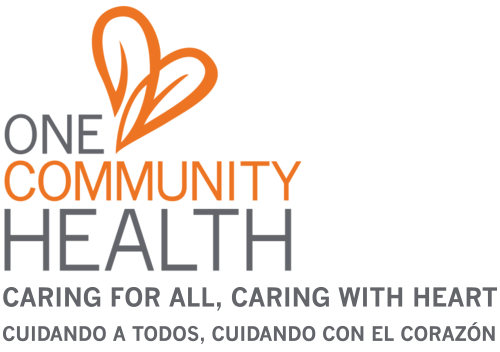 Davidson has worked at One Community Health since 2004. She obtained a bachelor's degree in dental hygiene in 1978 at Georgia Health & Science University School of Dentistry. She earned her master's degree in public health from Walden University. Davidson serves on the Oregon Board of Dentistry as one of two hygienists and is a member of the Oregon Dental Hygienists’ Association, the American Public Health Association, the American Association of Public Health Dentistry, and the Oregon Rural Health Association. In addition to her work with national dental and dental hygiene testing agencies, providing educational training and serving on committees, she is on Portland Community College’s Dental Hygiene Advisory Board and has participated with multiple volunteer organizations. Some of these include The Tooth Taxi, Mission of Mercy, and Give Kids a Smile Day, offering dental hygiene services. Davidson is married to a veterinarian—she and her husband live on a farm located south of The Dalles, Ore. In her free time, Davidson enjoys travelling, family and tiling remodel projects.